You probably know to turn lights off when you’re not using them – or you should! But do you know how light bulbs actually work when you click the switch? 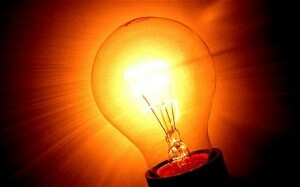 Older types of bulb send electricity through a thin wire, which glows when hot. This type of bulb doesn’t last very long though, and can be fragile. The most common type of bulb these days are energy efficient ones – CFLs or compact fluorescent lights. Electricity makes a gas inside give off light. They use a lot less energy and last much longer. LEDs are another type of lighting, made from tiny bulbs that are lined up in grids. You can see these on some torches, cycle lights and even on some street and traffic lights. Each LED is made to produce one colour of light when electricity passes through it. They use even LESS energy than CFLs and can last over ten years. Why not check out the bulbs in your house? Are they energy efficient?